Deluxe Turtle Lagoons are the perfect habitat for small turtles and other small amphibious creatures. Lagoons come standard with a built-in access ramp ascending to a combination lounging/feeding area and a decorative plant. 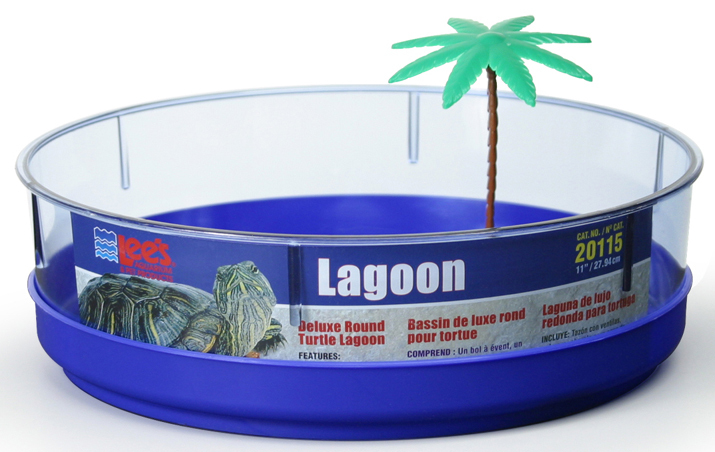 Deluxe Lagoons feature a vented bowl and an easy-clean tray for effortless maintenance without removing animal. Simply lift the bowl to drain old water, discard old water from the tray, replace the tray and fill bowl with fresh water.